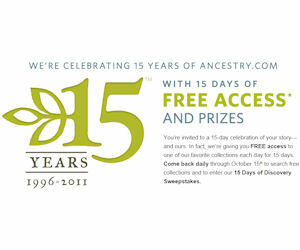 Ancestry.com is offering 15 Days of free access to their site. This offer runs until 10/15. Everyday they will reveal another collection you can search for free through 12am ET on October 15.